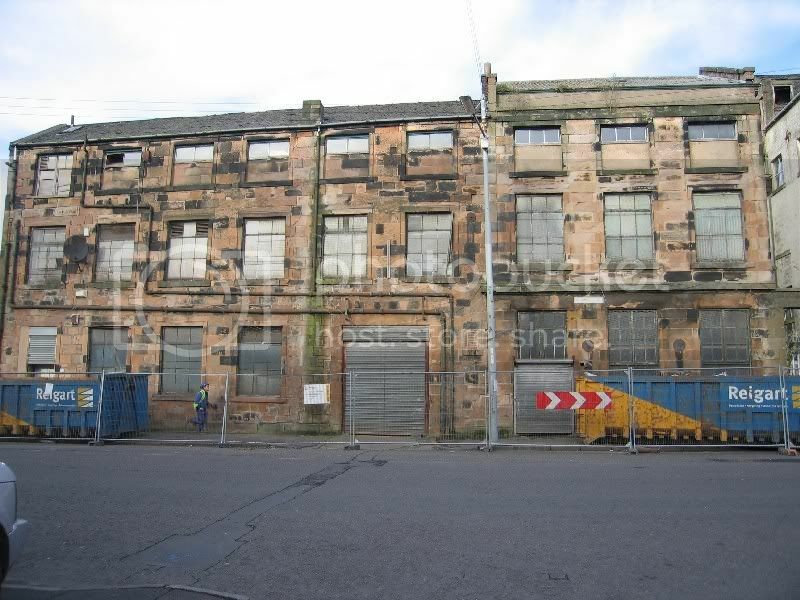 port eglinton- often read about this place in old glasgow books, but where exactly was it located? 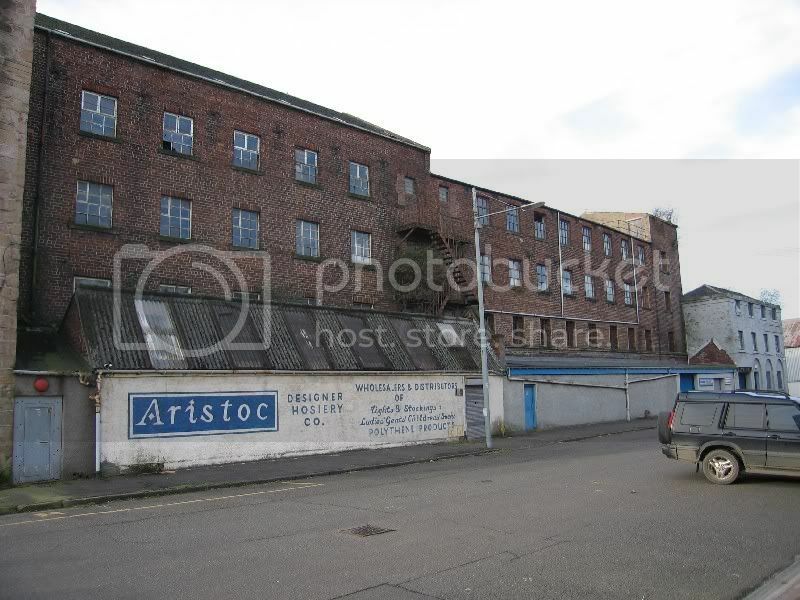 It was at Mauchline St (formerly Canal St) with the rail line (the one witht the viaduct over Eglinton St) running the same route as the canal. Does anyone have any info about a Port Eglinton disaster involving a train crashing? Can't find anything on the net. 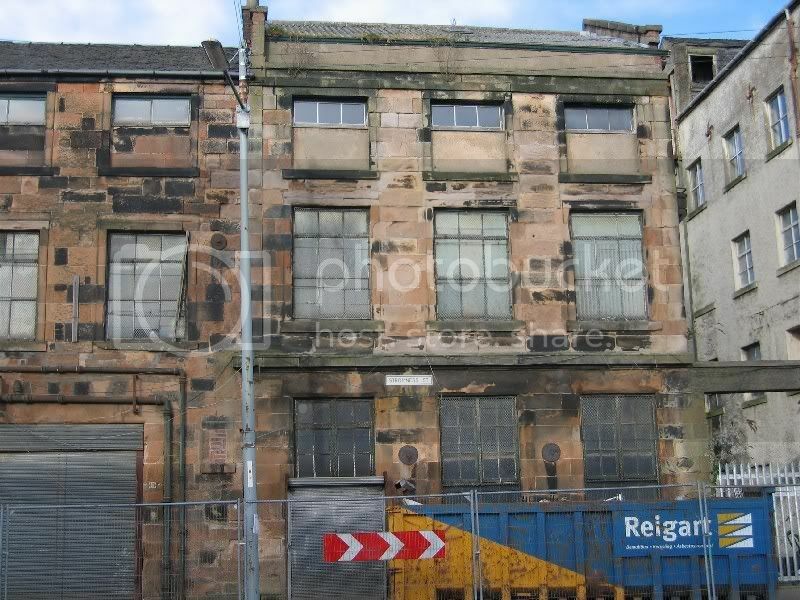 "close to Eglinton Street, some ½ mile (1 km) south of Glasgow Bridge". Isn't "FGI" a great new internet acronym? Hmmm, can't seem to find anything on a train crash at Port Eglinton. Heres the map as promised though, the basin of Port Eglinton being in the centre of the map. Port Eglinton was the Glasgow terminus of a planned canal which had it's route taken over by the railway line to Paisley. Rather than start a new project I thought I would bring this old one back to life. 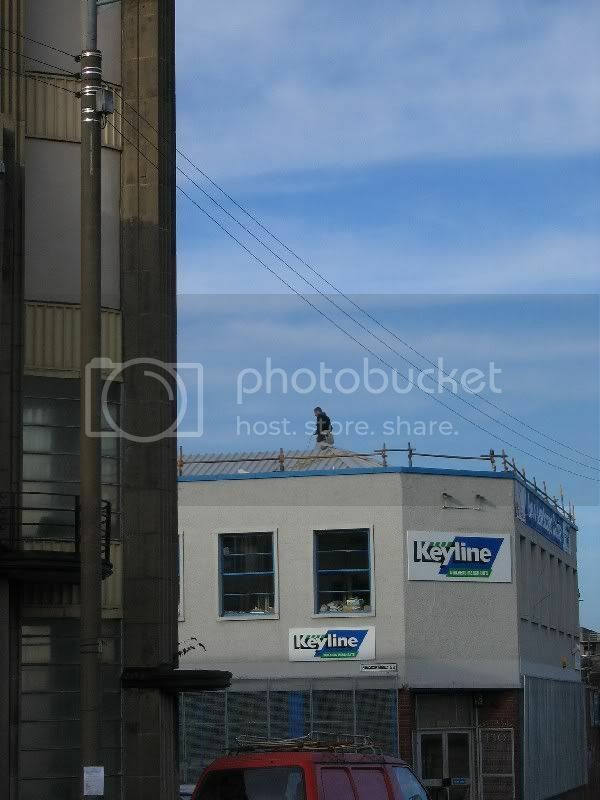 Last year whilst on a walk back to town I ventured up Kilbirnie Street and got my camera out to take a few photos. 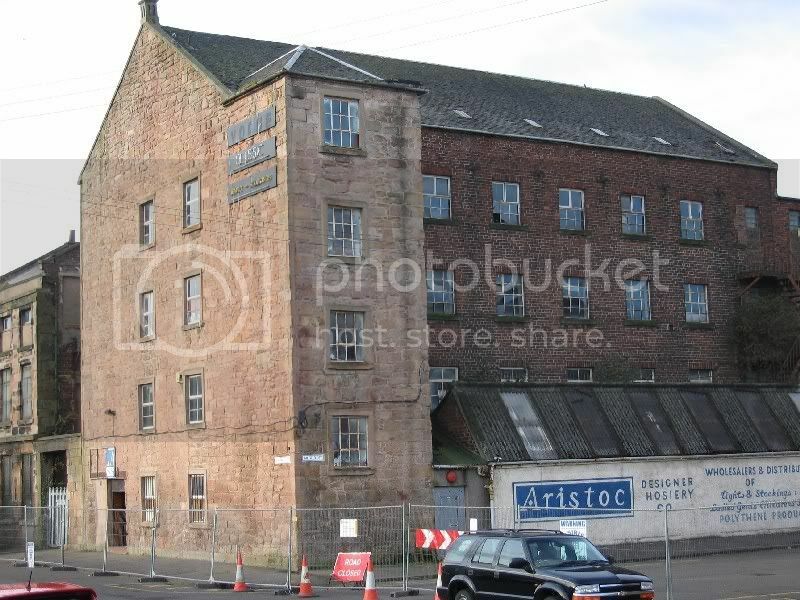 Some of the building here are worth seeing and if anyone has any information on then I would be grateful. As far as I can make out this area of the city was previously known as Port Eglinton. I put off posting the photos below as I wanted to make sure they were put in the right place. Following a brief discussion yesterday with Fos and JohnR I did as they suggested and searched here and found this old topic from August 2004. Now three years later during a google search I found this very interesting site relating to memorials to Firemen who have died on duty. It will be the 35th anniversary of the Kilbirnie Street Warehouse fire which took the lives of 7 Firemen. I thought that it would be appropriate to bring a further piece of history to this project before posting my photos. There are lots of other buildings worth photographing in this part of the city. Maybe some other people will take a walk through this area and take a few photos to add to those above. Some additional information on the Kilbirnie Street Fire. Almost 30 years later there was a further fire in Kilbirnie Street again involving a warehouse. Some photos on the Glasgow Story. From the Fire Net Forum - near the bottom of the page. 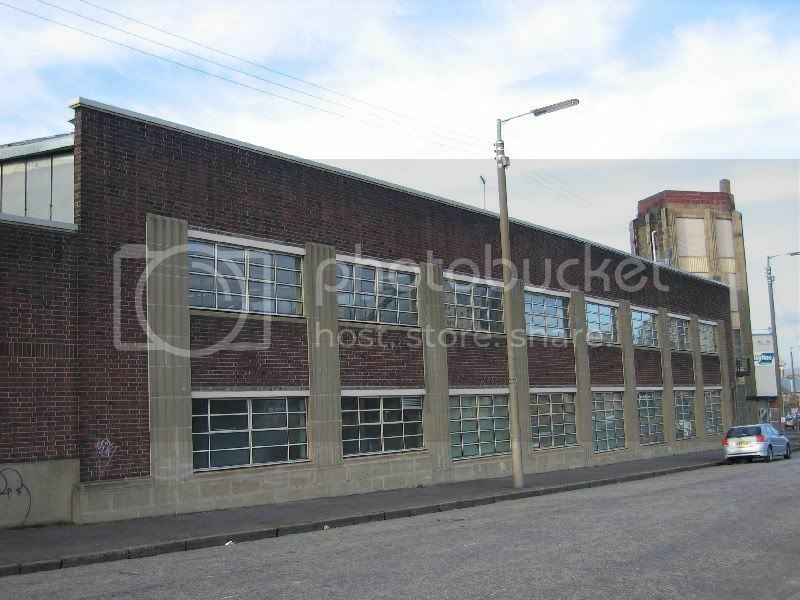 Funny you should post those Alex, I was up there the other night with the camera in connection with some research I'd been doing into the Botanic Gardens Garage in Hillhead - more specifically, about early motoring architecture in Glasgow. 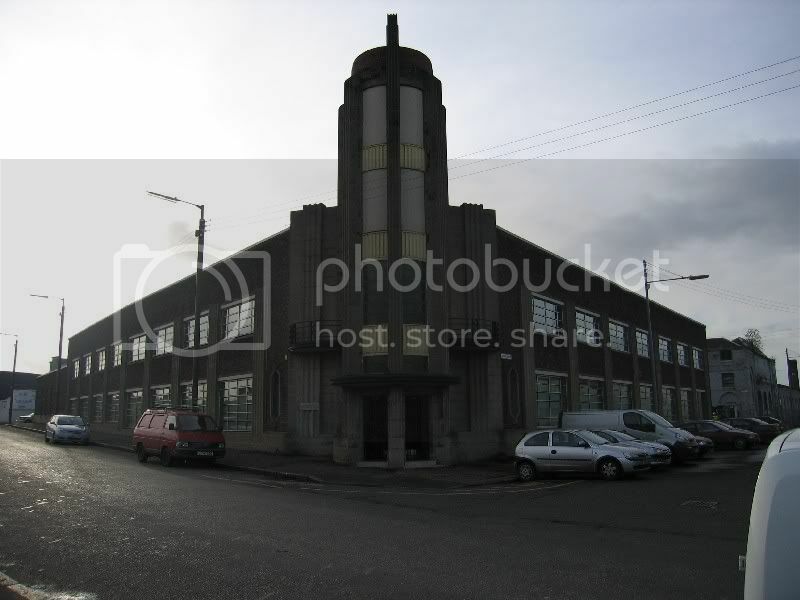 The last few pics of the art deco building with the tower are also motoring-related. Built by James Miller for the Leyland Motor Co, probably in 1933, it's also B-listed. Noted as home now to the police dog branch, although I'm not sure if this is still the case. Thanks very much for this information Gary. They are two very interesting buildings. 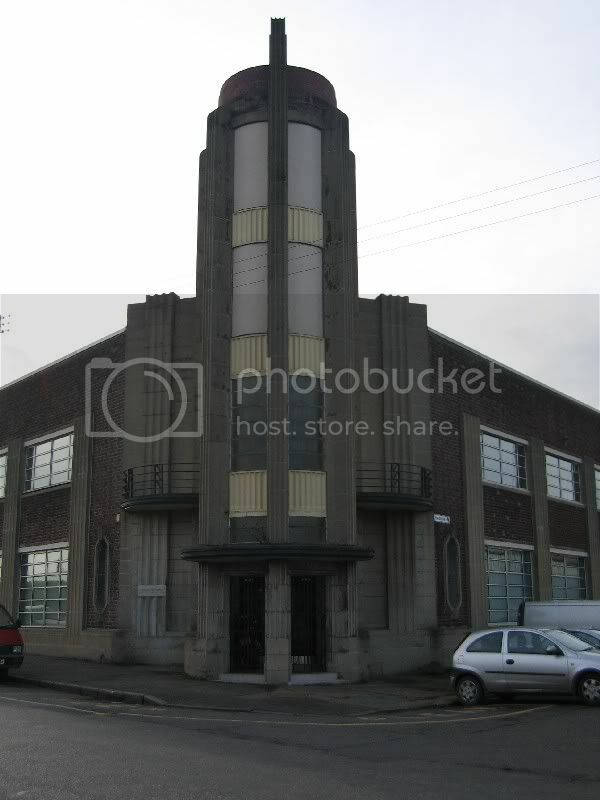 gap74 wrote: The last few pics of the art deco building with the tower are also motoring-related. Built by James Miller for the Leyland Motor Co, probably in 1933, it's also B-listed. Noted as home now to the police dog branch, although I'm not sure if this is still the case. Thanks very much for that, G. One of those buldings that I have vaguely wondered about for many years without, shamefully, bothering to find out anything about. Thanks from me as well, Alex and G74. I spotted the art deco building from a train on the way out from Central station a while back - saw the angled entrance and the tower, thought it looked really impressive. 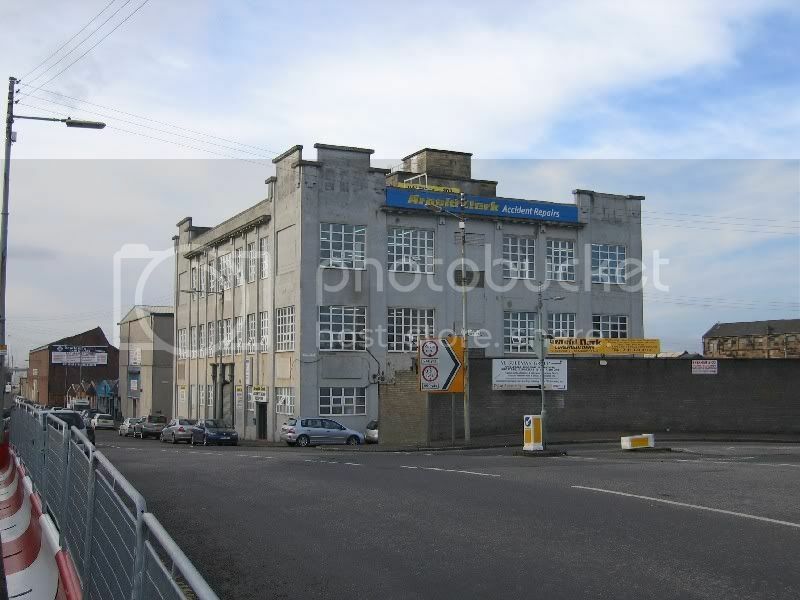 Another time I paid more attention and decided it was just a brick box industrial building with a fancied up entrance, a rather fine confidence trick really. Would the tower have had windows at the top originally, like the Luma building? And are any of the buildings in the way of the M74? Sunflower wrote: And are any of the buildings in the way of the M74? 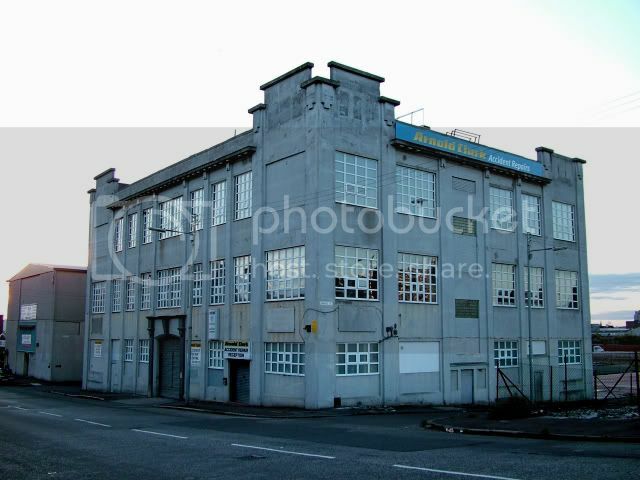 After Leyland the building became the Glasgow HQ for the nationalised haulage concern British Road Services, and in 1990 the corner frontage and tower was featured as a neon-lit trendy pub/club in John Byrne's TV series "Your Cheatin' Heart".